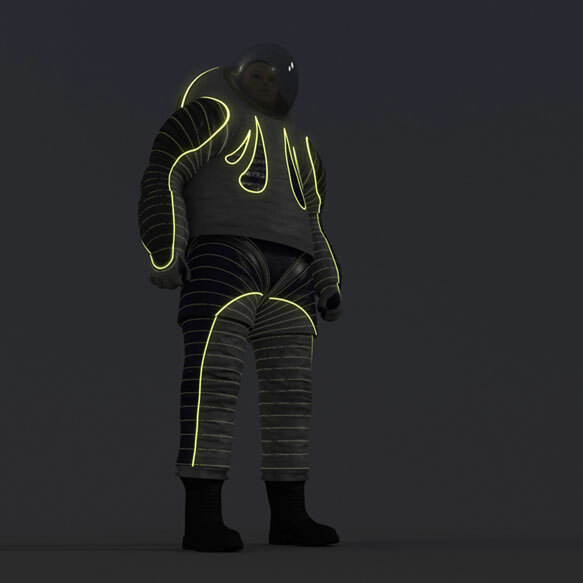 NASA has opened up the future of space fashion with an invitation to the public to vote for the next spacesuit design. The Z-2 spacesuit is the next prototype in NASA’s Z-series, following the popular Z-1 spacesuit. This series of space suits are specially designed so they can be used in both microgravity and planetary Extra-Vehicular Activities (EVAs). It is likely that the first astronauts on Mars will wear the most advanced model of the Z-series. In April 2013, ILC Dover won a $4.4 million contract over David Clark to design, manufacture, and test the Z-2 prototype spacesuit in collaboration with Philadelphia University. The Z-2 is able to interface with the Portable Life Support System (PLSS) currently under development by NASA. PLSS is a unit similar to a backpack which supplies oxygen, ventilation and refrigerated water to the astronauts. NASA’s Johnson Space Center (JSC) is responsible for project management of the spacesuit. Operation in multiple exploration environments was incorporated into the design of the Z-2 model. It is capable of application in EVA situations such as on the International Space Station (ISS), the Moon, and Mars. In most EVAs including outside the ISS and on the Moon there is a high risk of impact to astronauts due to the absence of atmosphere to slow down objects approaching the surface. The resistance of the Z-2 spacesuit to impact is “mitigated by designing multiple layers in the suit that reduce the size and energy of particles that hit to prevent them from actually penetrating the bladder layer,” explained a team of JSC engineers working on the next generation suits during an “Ask Me Anything” (AMA) on Reddit on March 27. Progression towards the Z-2 has integrated upgrades from previous suits to allow better mobility and therefore increased work efficiency. Previous to the Z-1, no new space suit has been designed for 30 years. The Z-1 needs major improvements in order to be compatible with current missions, new advanced activities in space, and latest technologies. Mobility improvement has been a core focus of the new prototype design. The suit engineers explained that it is “improving upper body mobility by placing the suit shoulders closer to the human shoulder and reducing don/doff (putting the suit on and taking it off) injury potential by having a rear-entry configuration.” This is possibly the most significant and visible improvement to the spacesuit design. JSC’s engineers have also emphasized the importance of glove design. Hands are important tools for all humans, but are the number one most critical tool for astronauts in outer space, therefore hand mobility in gloves is crucial. Hand injuries are commonly reported among injuries during training and EVAs, due to the poor adjustment of gloves resulting in creating friction. As a result, concentration has been placed on the design of gloves and there are now 62 different sizes with fine adjustments of finger lengths in each of those sizes. 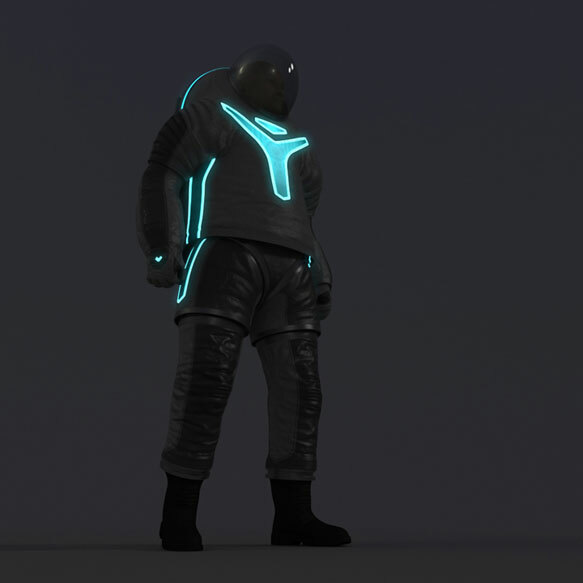 The Z-2 model is the first spacesuit to incorporate components that have been produced from 3D scanning and printing. This allows scanning of the astronauts and printing components which are specifically fitted to their individual bodies. This ability is not possible with traditional machining techniques. With the investment in, and near future tests of, 3-D printers by NASA on-board ISS, in-flight replacement of damaged pieces may be possible. The first test in space of the Z-2 prototype is planned for around 2020. Currently the Z-2 is being manufactured for completing human trials in a vacuum chamber and in the Neutral Buoyancy Laboratory (NBL). The NBL is a specially designed swimming pool which simulates near-microgravity conditions on Earth for astronaut training. It is one of the primary methods of testing spacesuits in near-space conditions. Spacesuits can be considered personal mini-spaceships as they are responsible for keeping astronauts alive in the harsh extraterrestrial environment. The spacesuit must be pressurized, provide breathable atmosphere, regulate CO2, regulate temperature, control waste, and provide protection against the environment (e.g. debris, radiation). If one support system fails it will jeopardize the safety of the astronaut which could lead to: physical injuries, thermal shock, hypoxia/hyperpyrexia, decompression sickness, and cardiac dysrhythmias, among others. NASA’s engineers explained the history behind the cool-looking design of the Z-2 spacesuit: the designer for the Z-1 spacesuit was inspired to decorate the suit with a “Buzz Lightyear cover layer, color palette and design.” The design was creative, original, and very quickly generated considerable public interest, demonstrating that sometimes practicality can meet trendy. NASA has three designs of the Z-2 for selection: “Biomimicry,” “Technology,” and “Trends in Society,” each of them having a unique identity. They are all decorated with electroluminescent wire on the torso but they have different shapes and colors. NASA engineers had the opportunity to give futurist looks to the Z-2 model, however the flying model will be white in order to provide the best thermal protection to astronauts in space. Is it Pertinent to Involve the Public? 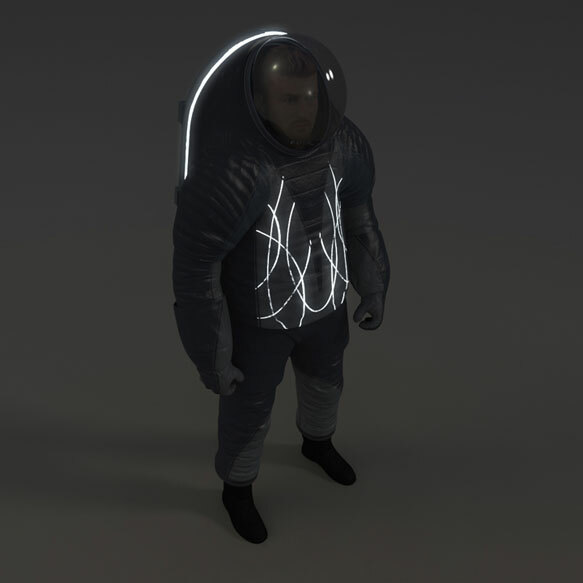 Comparing the high level requirement of a spacesuit design for safety, it is legitimate to ask if it is reasonable to involve non-professional opinions in the process. The technical differences between the alternate designs of the Z-2 are extremely small and will not alter standards regarding the safety of the astronauts. The differences are primarily aesthetic, as each suit carries a message for the public. Should we personify beauty of oceans, our distinctive identity, or our technological capabilities? Making the design a popularity competition is a very good initiative to help increase public involvement in spacesuit design. NASA has harnessed an opportunity to promote human space exploration and allow everyone to make a difference. So, which will you choose? Votes are open until 16 April, 2014 at 3:59 am GMT here. The technology suit are the coolest one. Option B!